Interactive ESL/EFL Vocabulary and Grammar Crossword Puzzles: Learn and practice English vocabulary and grammar by solving crossword puzzles online. These crossword puzzles are excellent homework and fun resources for students. Interactive ESL Crossword Puzzle on Action Verbs. Interactive ESL Crossword Puzzle on Action Verbs ending with ‘ing’. 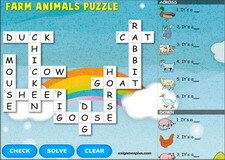 Interactive ESL Crossword Puzzle on Animals on the farm. 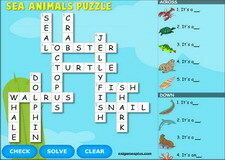 Interactive ESL Crossword Puzzle on Animals in the sea. 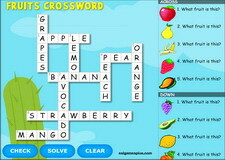 Interactive ESL Crossword Puzzle on fruits vocabulary. 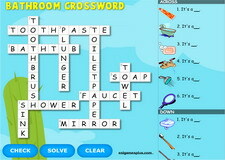 Interactive ESL Crossword Puzzle on bathroom vocabulary. 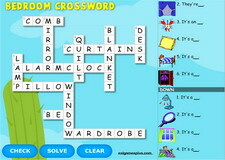 Interactive ESL Crossword Puzzle on bedroom vocabulary. Interactive ESL Crossword Puzzle on body parts (anatomy) vocabulary. 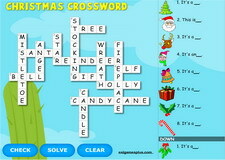 Interactive ESL Crossword Puzzle on Christmas vocabulary. 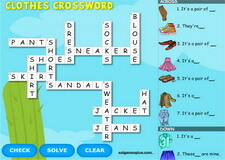 Interactive ESL Crossword Puzzle on clothes vocabulary. 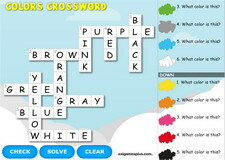 Interactive ESL Crossword Puzzle on colors vocabulary. Interactive ESL Crossword Puzzle on Countries Vocabulary. Interactive ESL Crossword Puzzle on more Countries Vocabulary. 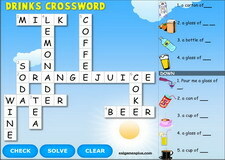 Interactive ESL Crossword Puzzle on drinks Vocabulary. 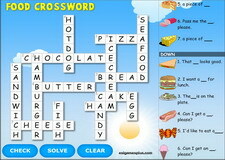 Interactive ESL Crossword Puzzle on Food Vocabulary. 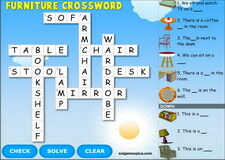 Interactive ESL Crossword Puzzle on Furniture Vocabulary. Interactive ESL Crossword Puzzle on Halloween Monsters Vocabulary. Interactive ESL Crossword Puzzle on Halloween Words. 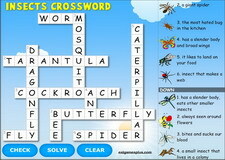 Interactive ESL Crossword Puzzle on insects vocabulary. 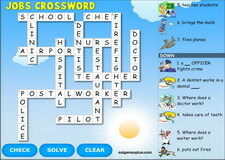 Interactive ESL Crossword Puzzle on Jobs and Occupations. 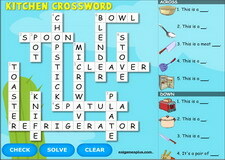 Interactive ESL Crossword Puzzle on Kitchen Vocabulary. 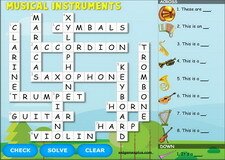 Interactive ESL Crossword Puzzle on Musical Instruments. 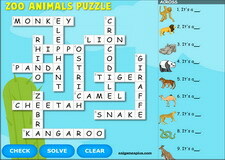 Interactive ESL Crossword Puzzle on Nature Vocabulary Vocabulary. 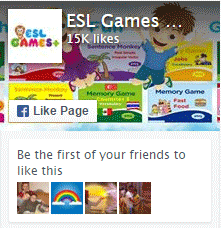 Interactive ESL Crossword Puzzle on Numbers Spelling. 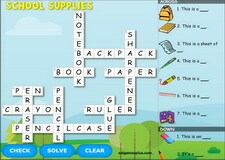 Interactive ESL Crossword Puzzle on School Supplies Vocabulary. 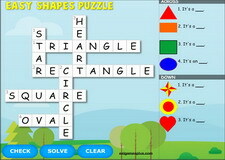 Interactive ESL Crossword Puzzle on Shapes Vocabulary. Interactive ESL Crossword Puzzle on Sports Vocabulary. 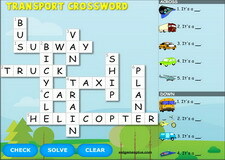 Interactive ESL Crossword Puzzle on Transportation Vocabulary. 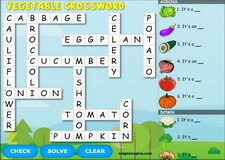 Interactive ESL Crossword Puzzle on Vegetables. 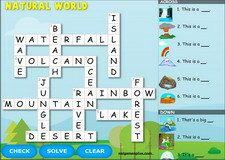 Interactive ESL Crossword Puzzle on Weather Vocabulary.